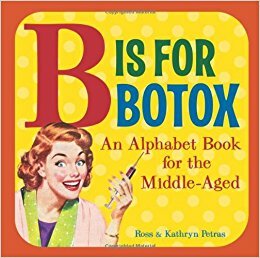 The A, B, Cs of adulthood differ ever so slightly from the popular grade school primers of the past inside Ross and Kathryn Petras’s B Is for Botox: An Alphabet Book for the Middle-Aged. This hilarious board book has a fun, retro look and makes a unique gift for grown-ups who don’t necessarily want to grow up. 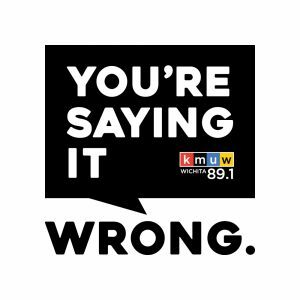 Dripping with sarcasm, each letter will remind you that while you still have your sense of humor, jokes about aging seem to ring a little truer than they used to! Arnold sees his favorite childhood toy, the Atomic Astro-Rocket, on Antiques Roadshow. It is officially an antique! “Hmm,” thinks Arnold. “Does this mean that now that I’m middle-aged, I’m officially an antique?” Hmm. . . What do you think? 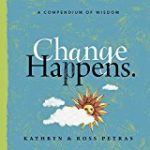 From best-selling humorists Ross and Kathryn Petras comes a colorful counting board book that pokes fun at the pitfalls of getting older. This fun and playful package is a perfect gift for grown-ups who are growing old gracefullyâ€”with a sense of humor. The 1, 2, 3s of adulthood differ ever so slightly from the popular grade-school primers of yesteryear inside Ross and Kathryn Petras’s 1, 2, Can’t Reach My Shoe. 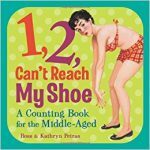 This clever counting book for the middle-aged (which the United States Census Bureau defines as age 35 and above) is perfect for readers of a certain vintage who intend to grow old gracefully–and with a sense of humor. * 59 1/2: Today is a great day! It is Carl’s FIFTY-NINTH-AND-A-HALF birthday! Carl usually wouldn’t celebrate a half birthday, but this one is different. Since he has turned FIFTY-NINE-AND-A-HALF, he is getting a nice present from his Uncle Sam: his very first penalty-free IRA distribution!